The public education system on Canada includes kindergarten to twelve grade level. All public schools on Canada are accredited by each province with public funds maintenance and follow a standard curriculum, the teachers are certified by de Government. Although the educational system of each province presents many similarities, each one has its own curriculum to reflect the culture and the history of their region. More than 95% of Canadians choose public education for their children. Canada spends more on education (per capita) than any other G8 country. The Canadian public secondary students participates the World Summit on standardized tests. Canadian secondary school graduation certificates are recognized throughout the world. Canadian public schools have accepted international students since the 1980’s. They have a well-developed infrastructure including the teaching of English as a second language, and carefully supervised lodging programs. 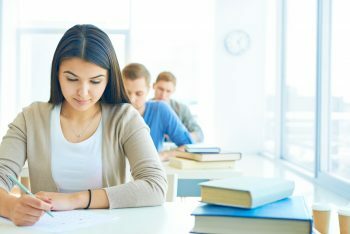 Almost all public schools are coeducational and accept international students to pursue programs of graduation from high school or for stays shorter weeks, months or a year or two. Many primary schools also accept students for short or long term studies. The most of school boards do not provide a religious education, but in some provinces certain religious schools are also funded by public funds.